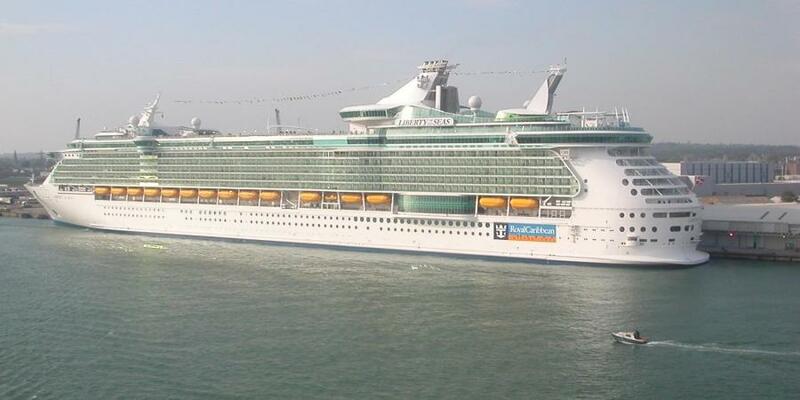 Royal Caribbean currently has two ships that sail out of Galveston, Liberty of the Seas (pictured), the largest cruise ship to sail from the State of Texas and Vision of the Seas. The Port expects the new cruise terminal to generate an additional 1.0 million passengers halfway through the term of the contract. The Board of Trustees of the Galveston Wharves formally announced on Dec. 5 that it has entered into a Memorandum of Understanding (MOU) with Royal Caribbean Cruises Ltd. setting out the general terms for a new long-term business agreement for the development and operation of a new cruise terminal. The long-term lease negotiations could lead to a 60-year transaction: a 20-year initial term and four 10-year options. While specific designs and costs have not yet been announced, some details have been revealed. The new terminal will cover approximately 200,000 sq. ft. on 10 acres of land in the southeast section of the Port known as Pier 10. Improvements to the pier bulkhead and apron will be made to safely accommodate the cruise line's largest vessels. In addition, a staging and loading area, bus and taxi staging areas and substantial parking will be constructed. The new state-of-the-art facility is anticipated to open in Fall 2021. "This new cruise terminal to be built by Royal Caribbean allows the Port to continue investing in our infrastructure while growing our cruise business exponentially. This partnership will bring both larger class ships as well as more visitors to the city of Galveston and the region," said Rodger Rees, Port director/CEO. "This long-term lease agreement represents Royal Caribbean's confidence in the Port of Galveston's efficient cruise operations and the ability to attract passengers on its current and future sailings. Galveston is on course for being a global destination for cruising and we are thankful for partners like Royal Caribbean." "Over the last 15 years, Royal Caribbean has brought more than 2.4 million guests to Galveston driving an economic impact of $65 million each year. The development of a new terminal is crucial to our continued growth and expansion of the brand in the region," said Michael Bayley, president and CEO, Royal Caribbean International. "We look forward to continuing our outstanding relationship with the Port of Galveston and are excited about our plans for a state-of-the-art facility with a bold new design and technological advancements that will considerably enhance our guest experience." For more information, visit portofgalveston.com and RoyalCaribbean.com.